Soooooooo, 3 days after I posted my last report, my first sale came in, about 2 months ahead of schedule!!! To explain further (the following has also been added to the Project Pyxis overview page), affiliate commissions on subscription based services, however high the payouts might be, come with a few downsides. Aside from credit card fraud, which happens in every industry, this specific type of affiliate programs only pay out if they see that the user is serious about the service they subscribed to, meaning that if the user doesn’t do anything with the subscription within 30/60/90 days, there’s a high chance that the user will cancel that subscription… and the service makes a loss if they would have paid the commission. Just as an FYI. The average commission per sale for the industry I’m targeting, minus a 25% dropoff rate, is around $100. So 1 sale/day would make me $3000/mo. Anyway, on to work done this month… not much, at all. I made sure the links from last month were indexed, added 1 more super HQ niche link, and 2 more blog posts were published. 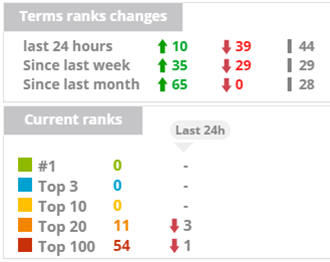 Rankings remained pretty much the same, and probably will stay like that until the sandbox is over, which is getting closer and closer. I’m planning on adding at least 5 HQ links next month (combo of genuine outreach guest posts & my super HQ niche links), and maybe drip a few more social signals. May will probably be pretty meh, but June… now that’ll be an interesting month!